To keep your teeth and gums healthy, it is recommended you visit your dentist twice a year for a cleaning and checkup. Unfortunately, dental care can be expensive if you do not have insurance. Thankfully, you have coverage through Delta Dental. You can visit your Delta Dental dentist in Arnold for little to no out-of-pocket cost. 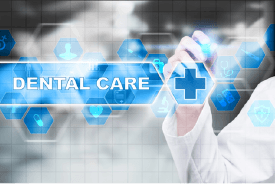 With your oral health a top priority, you will reduce your long-term costs for care by preventing the need for an invasive treatment in the future. At JL Dental, we will help you maximize your benefits to keep our services affordable. Delta Dental is the nation’s leading provider of dental insurance. They believe in making it easy to keep your smile healthy, which is why you have access to the largest network of dentists in the country. By paying your monthly premiums and your yearly deductible, you benefit from cost-savings opportunities to promote the health of your teeth and gums. 80% coverage for basic procedures, like fillings. 50% coverage for major procedures, like root canals and crowns. To use your benefits to their full potential, it is recommended you choose a dentist who is in-network, like JL Dental. We have pre-negotiated rates with your carrier to reduce the amount you will pay for our services. With yearly maximums and limits strictly enforced, we will help you make the most of your policy to lessen the amount you will have to pay out-of-pocket. If you need a costly treatment, we can even split the cost over the course of a couple years to keep your procedure within your budget. Whether you are in-network or not, we will help you make the most of your dental coverage to get the healthy smile you deserve. 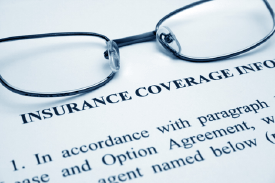 We understand that dental insurance can be a confusing topic. To answer your questions, our front office manager, Gay, is here to help you. Supported by 29 years of experience in dentistry, she joined our team 5 years ago. She enjoys helping our patients understand their dental policies while working on your behalf with your insurance company. She will file the necessary claims and paperwork, so you have one less thing to worry about. With Gay by your side, you can rest assured you are in good hands. At JL Dental, we want you to achieve and maintain a healthy, beautiful smile without creating a financial burden. We will work with Delta Dental to utilize your policy to keep your teeth and gums healthy. If you have any questions about your policy, do not hesitate to call our office. Gay is happy to help you understand your coverage to stay within your budget. Contact our office today to schedule your appointment.